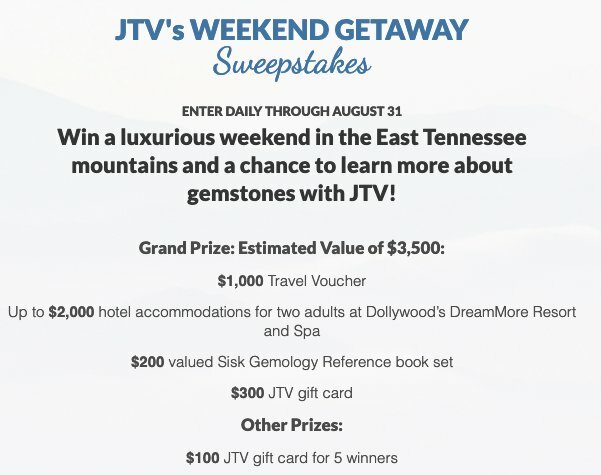 Luxurious weekend in the East Tennessee mountains and a chance to learn more about gemstones with JTV! Includes a $1,000.00 travel voucher, hotel accommodations for two adults at Dollywood’s DreamMore Resort and Spa, Sisk Gemology Reference book set, and a $300.00 JTV gift card. (5) $100 JTV gift card.